Hello!! 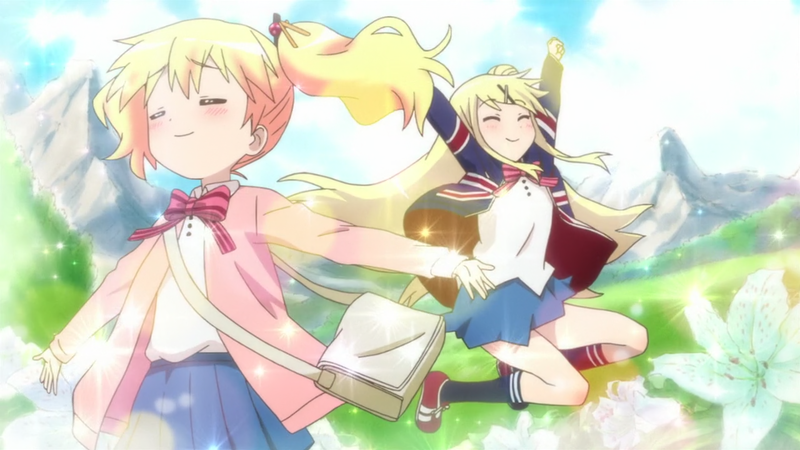 Kiniro Mosaic — 01 | Mezashite! So, I guess we’re going this. Since it’s a joint with Asenshi and I write my posts over there anyway, I’m not sure if we’ll keep updating episodes here too. We’ll see. Karen has cut her long her in the manga version.